Why Did My Father Know His Grandfather Had An Uncle Selig? Home / Portfolio / Why Did My Father Know His Grandfather Had An Uncle Selig? More than twenty years before Israel Pickholtz began doing serious genealogy, his father sent him a postcard with three bits of family information. One of those was that Israel’s great-grandfather Hersch Pikholz had an uncle Zelig. That information was very important in Israel’s research over the last two decades, research that was helped along by traditional sources and more recently by genetic genealogy. But even as he was progressing in his research, Israel could not shake the question “Why did my father know this?” Israel says “My father was eight years old when his grandfather Hersch Pikholz died and they never had any real conversation. None of the cousins knew about Uncle Zelig, even the older one who lived in the same house as my great-grandfather. My father himself did not recall why he knew this.” And did it even matter? 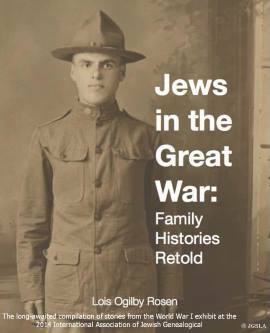 Israel tells the story of his great-great-great-uncle, what he learned about this family and why now he thinks he knows how his father knew. And yes, it matters. Israel Pickholtz has lived in Israel since 1973 and now lives in Jerusalem. He has done serious family research for nearly twenty years. His flagship work is the Pikholz Project, a single-surname project to identify and reconnect all Pikholz descendants. 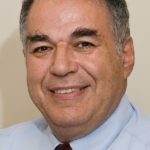 Alongside his work as a professional genealogist, taking clients in Israel and abroad, he became heavily involved in genetic genealogy in 2013. He manages test kits of over ninety family members at last count.